Want to know how to become self employed, and find real work from home opportunities? Where does self employment start? Starting self employment can’t be a quick decision; a person can’t quit a job one day and become self employed the next. Unfortunately, it doesn’t really work that way. Learning how to become self employed, successfully, is an ongoing process that never really ends. What is self employment? Anyone who works for themselves as a freelancer or independent contractor is a self employed professional. Earning income through work at home jobs, making money by selling products or otherwise running a home-based business, subcontracting – it all falls under the heading of self employment. Getting started is as simple (or as hard) as finding work and finding clients. Sometimes, getting started in self employment is the easy part. There are a lot of jobs out there and enough self employment opportunities for all — but that’s also the problem. Employers aren’t going to waste their time with workers who don’t deliver a quality product. Competition is fierce. Professionals who wants to become successful in self employment must meet deadlines and requirements as set forth by their clients and employers. Only high-quality end results should be presented. Whenever possible, do a little something extra to make the effort stand out. 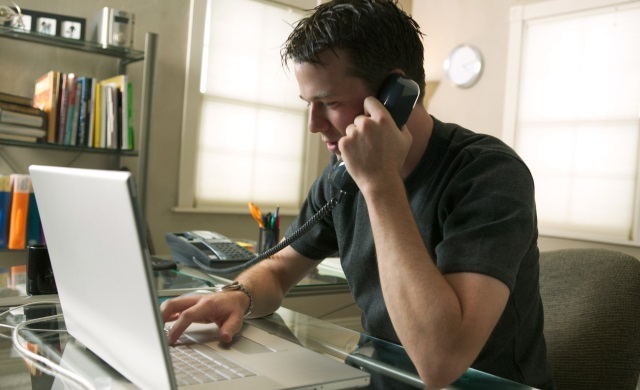 Self employment jobs may come through word-of-mouth, too. Job searches help would-be self employed professionals find work and make money, but it’s important to learn where the line is between self-sufficiency and financial floundering. Is the income from self employment enough to cast off all other types of employment? The number varies greatly for each professional, and sometimes family needs change on a whim. Choose wisely before beginning self employment full time, and have some savings in the bank before taking the self employment plunge. Finding real work from home opportunities sounds simple, but there are so many illegitimate work from home opportunities and self employment scams out there. It’s hard to find genuine, legitimate job listings sometimes. Start with reputable job boards to start finding real work. If any potential employer asks for money, then it’s not a legitimate work from home opportunity – use that as a general rule of thumb to avoid self employment scams. After finding opportunities, apply to them using a great self employment resume and online portfolio. Previous Previous post: Is Self-Employment the Key to Ending Poverty?